A whole bunch of new Silhouette products were released today and I know you guys are going to go crazy over some of them! When I say new Silhouette America products I don't mean the Pink CAMEO or the Silhouette 3D printer (those are coming too but later) - I'm talking about specialty media - things you can cut. Here's the full list of the new items. These are so new that some of them are hard to find, but I have searched high and low and am linking to those that you can get today! 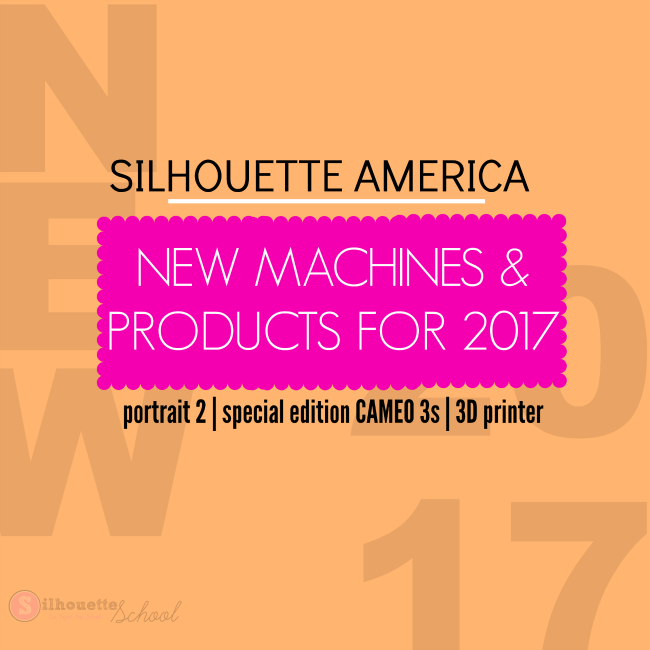 Of course I'll be sharing tutorials and project ideas on how to use these new Silhouette materials in the upcoming weeks and months!